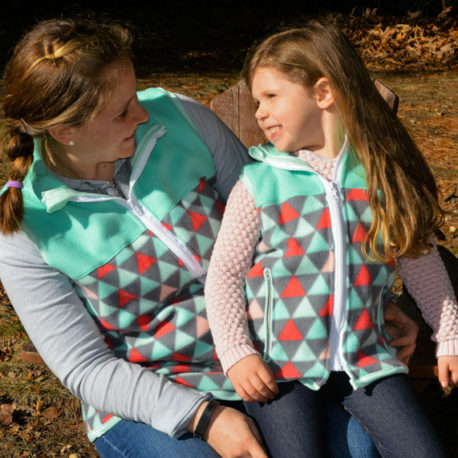 A two pattern bundle that includes the Aspen and Willow Fleece Vest patterns. These are intermediate sewing patterns. Please read below for more information. Purchase this product now and earn 18 Points! 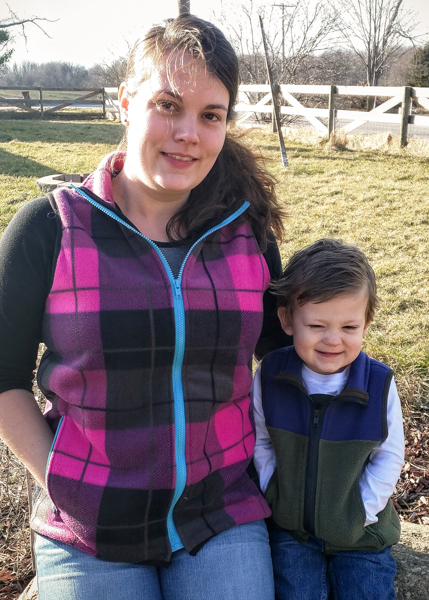 A two pattern bundle that includes the Aspen and Willow Fleece Vest patterns. If you’d like to read more about each individual patterns, please check out the separate listing for the Aspen and the Willow. 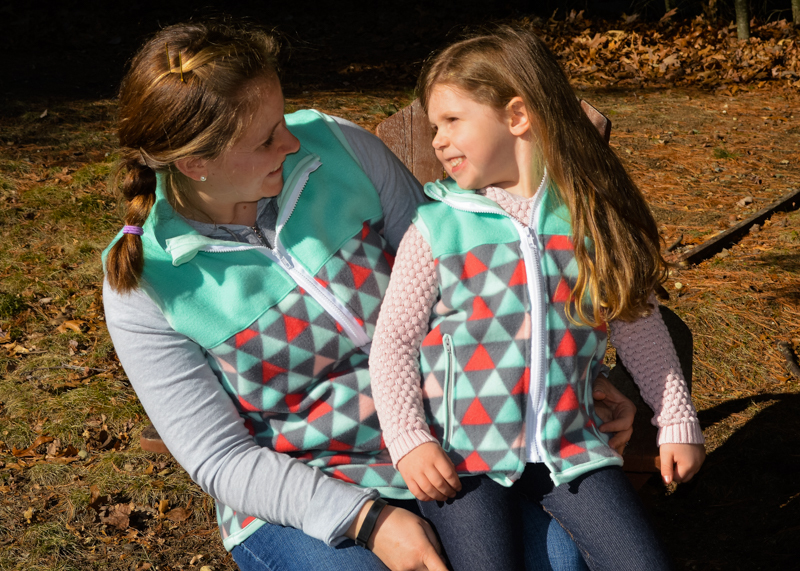 Each pattern includes solid and colorblocking options, as well as pocket options so you’ll get a ton of use out of these patterns. These patterns are drafted for use with fleece fabric with at least 10% stretch. Heavier weight french terry, sweater/sweatshirt fleece, and cotton blends with lycra could also work. 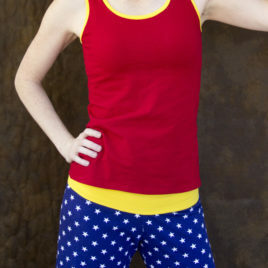 This listing is for a PDF sewing pattern, NOT a finished product. Your download should immediately pop up after purchasing, but you can also log into your account at any time and download the package again. Your downloads will include a professionally drawn pattern with trimless pages and layers. The pattern pieces included are formatted for 8.5×11, A4 (typically outside of the US), and A0 printers. Please remember to NOT use the A4 pattern unless you are located outside of the US and own an A4 printer and A4 paper. The A0 pattern is specifically designed for large format printing. You have permission from 5 out of 4 Patterns to have this pattern printed at your local copy shop. The separate tutorial download includes hyperlinks to help you navigate to whichever options you’re interested in doing. It also includes professionally drawn images for each tutorial step. We take great pains to make the tutorial as clear as possible! We’ve even included links to our YouTube channel, where you can find a video tutorial on how to do the hem binding. Just say NO to drugs, but say YES to the Nancy Raglan! This relaxed fit raglan will blow you away with how many options and combinations you can create. It's the perfect year round staple to your capsule wardrobe. 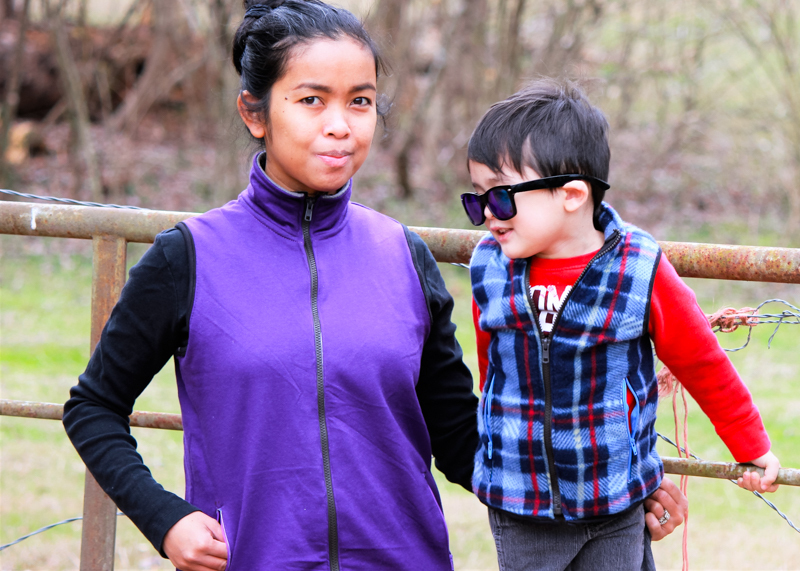 PDF Sewing pattern for regular, nursing, and maternity tank top with bra options, a nursing and pullover sports bra, and relaxed fit knit pants in three lengths. THIS PATTERN HAS A SPECIAL OFFER IN THE PINNED POST OF THE 5oo4 FACEBOOK GROUP!Sometimes you just want to twirl. We've taken out all of the guesswork and done the math for you. 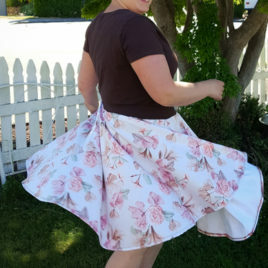 Now you can quickly and easily make your own circle skirts!Read on below for more details. Did you make a New Year's Resolution? You know what makes working out a lot more fun? Having some cute workout clothes. :) Then you can show off your sewing skills and your workout skills at the same time!The Resolution Bra and Tank is a quick sew and is perfect for combining fun fabrics or adding a cute heat-transfer-vinyl saying to the front of it! Sign up for the 5oo4 newsletter! Posts on this website may contain affiliate links. When you use them, you support this site. 5 out of 4 Patterns is a participant in the Amazon Services LLC Associates program.